The traditional review of the year is certainly an interesting one for 2009. Personally I had a few challenges to overcome when moving back to Ireland after working abroad. The biggest was answering daily queries on my sanity; who moves somewhere in the middle of a recession? Driving across the whole country. Sounds great and takes Americans days weeks to complete but we can do it twice in a weekend. Train Friends – last time I took the train from Cork to Dublin the lady next to me talked for the whole journey. We did the meaning of life, the Church, the recession, arts and where to buy boots. The train arrived, we said goodbye and that was that. Speaking Irish – OK not as often as we could but we try. And you can say things like ‘An raibh tu sios ag an sign-on place? Bhi an organizer i do lorg’ and everyone knows what you mean. Live music: the only reason Irish people hate Bono so much is because they want to be him. You can find the next guy every night somewhere. Brown soda bread and salmon sandwiches – hot with melting butter. Who needs haute cuisine? Brandy butter – speaking of butter. A Canadian friend here had never tried it before and her reaction confirmed that this is indeed a cuisine miracle. Bogs – hike out to the mountains and jump into a pile of wet peat. Fun as long as you don’t sink in too far. One way to deal with the constant rain is just take advantage of the puddle-splashing and bog-hopping opportunities created. And just remember that it takes more muscles to frown than to smile. So never mind the Budget and the gloom; keep on smiling and we’ll get through this. 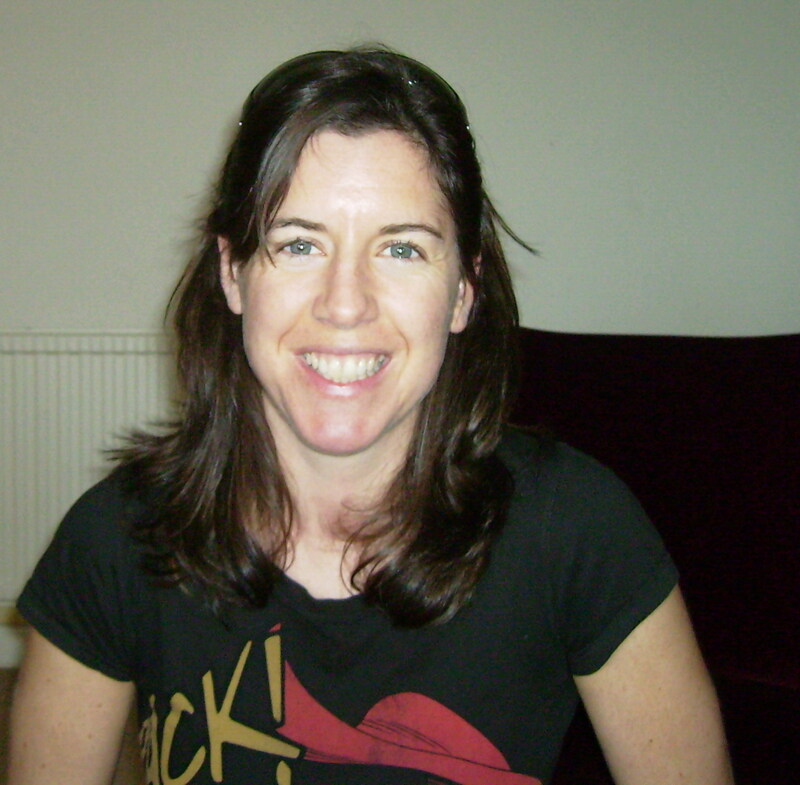 Niamh Griffin is a freelance writer and travel addict. For now she lives by the sea in Ireland rediscovering what it actually means to be Irish not Oirish. Niamh’s blog is Writer On The Way Home and is a great read for natives (as it often gives us a quirky look at ourselves) and for new arrivals (who will regularly find very useful local information). Here here. Enough of the doom and gloom. Thanks Niamh and Barbara for this much needed dose of positivity! You're a very brave woman, Niamh. I remember having to move house from Dublin to Cork and then doing it in reverse two years later and how much hassle that entailed. So hats off to you and may your sense of humour never desert you. Thanks for reminding us that there is so much to be positive about in Ireland. On live music I enjoyed a terrific night last week on Tuesday in Dans pub in Greystones with up to 14 musicians playing a collection of instruments and singing- super go along! Nice dry cold weather on the way to put us in a Christmas cheer. Great post Niamh. Mouth watering thinking of the brown bread and smoked salmon sandwiches! Hello all… isn't it a lovely post. Nice and cheerful! Niamh is having difficulty in posting her reply comments (one of the downsides of being in Thailand I suppose!!). But she emailed me the following and so I post here on her behalf…..
@ HCM – it's nice to have a laugh for a change. I hate feeling that I must be glum all the time as it doesn't really help anyone! @Noirin – well, it's not the distance that matters really it's just the move. I keep waiting to get better at packing but no luck so far! @ Maureen – sounds like a great pub! you just need to escape for a little while and all is well again! Those comments come from Niamh who emailed me before your comment arrived Ann. Brown bread and smoked salmon doesn;t do anything for me – as I HATE FISH… but can understand that for many expats it sums up home! Gimme the brown bread with melting butter anytime!!! I think I just about OD'd on brown soda bread when I was in Ireland. It's been years, but I can still taste it and have often tried to make it myself to varying degrees of success. Poor ol' Bono! If we had the Tall Poppy Syndrome Olympics, Kiwis could give the Irish a run for their money as it's also a national past-time here!